All important specialist journals around the world came to the same point: The sound of our loudspeakers is now not only close to the original, it´s one to one. The list of famous celebrities, who we are allowed to reference, is long. 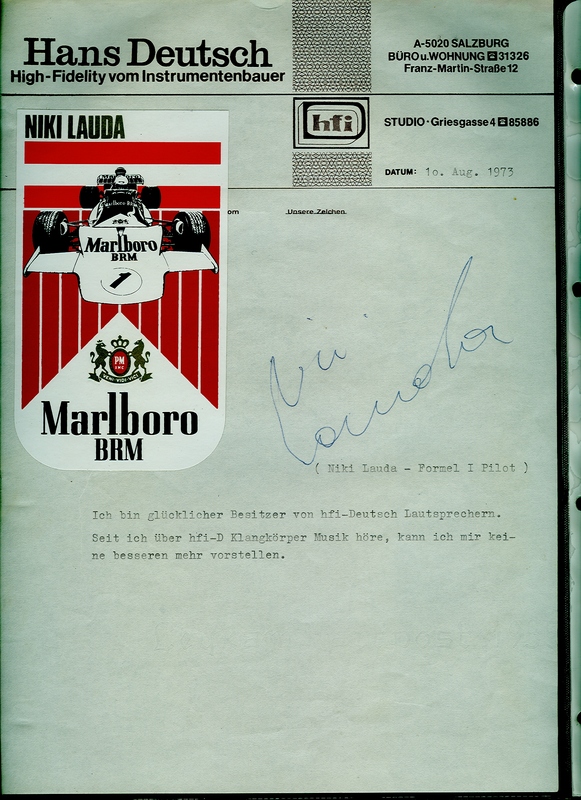 There you can read names from sound-designers of national broadcasting companies to international successful musicians and icons among conductors. 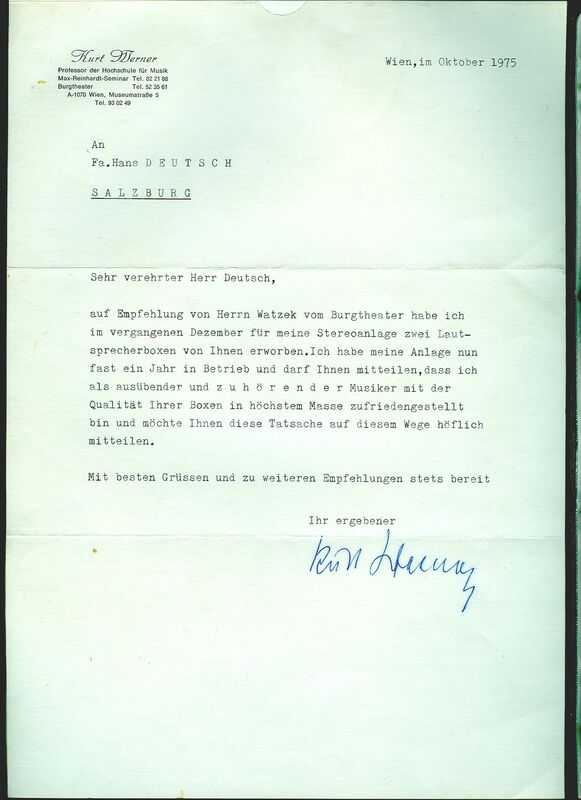 The most famous is Herbert von Karajan, who Hans Deutsch accompanies to his recordings. 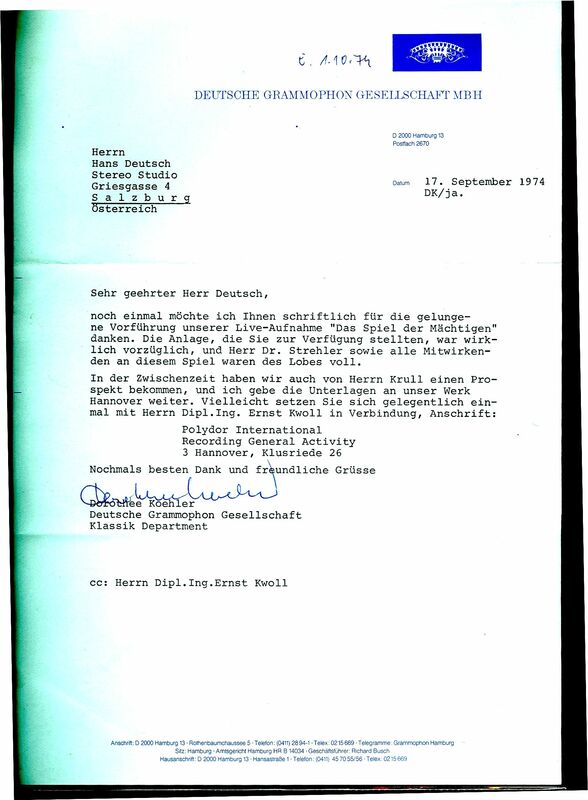 The maestro himself encouraged Hans Deutsch to do his first steps in loudspeaker building. The »Salzburger Nachrichten«, a well known newspaper in Austria wrote this article about our speaker, enjoy it. The last saturday was a wonderfull day for my. Johnny is very good friend of mine. 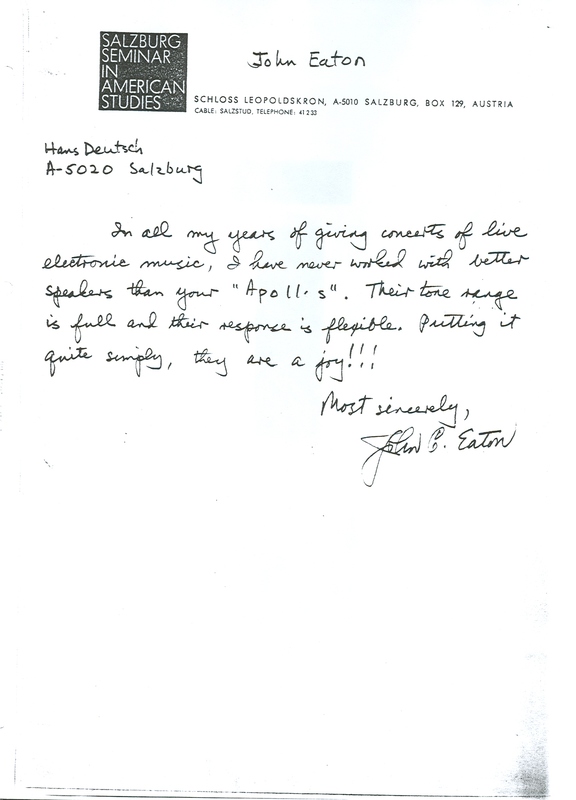 He is a great music lover and great audiophile, and he is the owner of a Hi-End store. Livened by my great enthusiasm for Bosendorfer / Brodmann speakers, he decided to conatct with Andres Fatsini to know and try Brodmann speaker on his shop and do some private demonstrations in house of one client , for gathering there several clients more. I collaborated with Johnny in public demonstrations from many years ago, and this time he asked for my for help with this new demonstration, from my experiencie with Bosendorfer speakers. 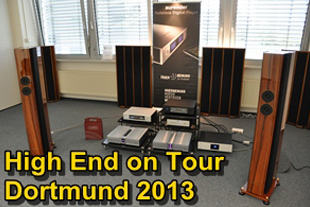 The demostrations was with Bosendorefer VC7 and YBA electronics and cables. We work hard on saturday morning (little time), the audition was in the afternoon. The result, although could be improved with more time, it was very good. All there present they were very happy with the sound. I completely fell in love by them and his sound. This was the second time I heard the VC7. For me the sound of VC7 is incredible! from the most transparent treble to the deepest and most powerful low frequencies. For me the most natural sound I've ever heard in my life! Pure emotion! The more closest to a live concert for me. 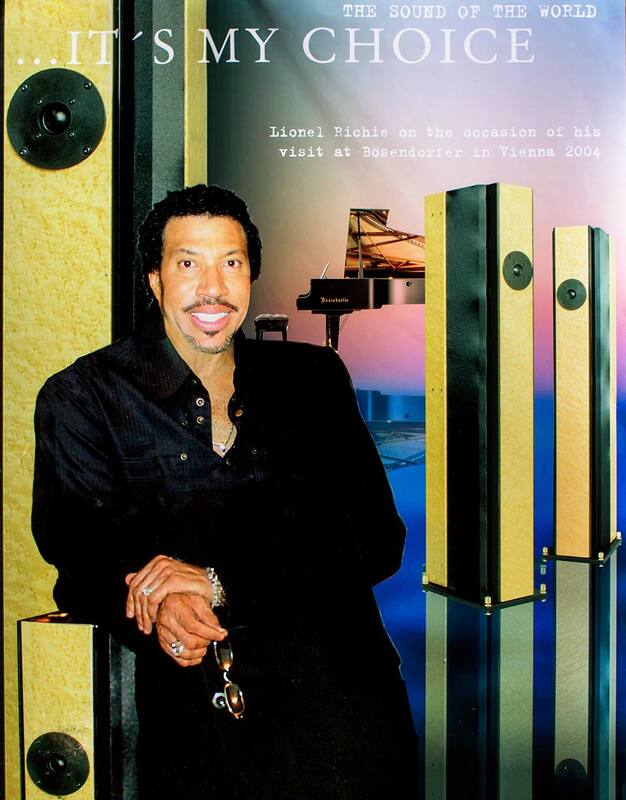 I have been attending more than twenty years attending several concerts every year. Classical music, of course. (Well, I had a contact with the JB205. No comment. They promise the PARADISE!). And to end this wonderful experience, when I arrive to my home and I listen again my VC1 I find a WONDERFUL sound in my room again. What more can I ask for? I attached one photo for you can see the Saturday demostration. Kind regards. 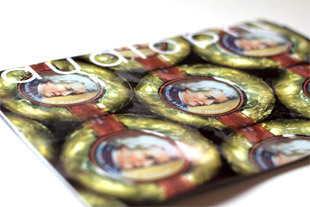 Review without consideration for the price. We always try to give a complete overview of our product series on fairs to show that also our smallest speakers manage a one to one performance. 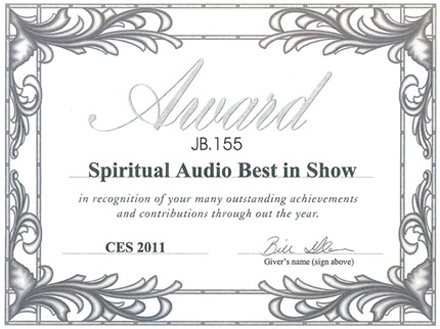 For that reason our FS (€ 2.580,- as pair) was ocassionally judged of a Jury on the CES 2014. What a pleasure even they obtained a place within the top-5 of speakers till over € 250.000,00 and by more than 300 exhibitors. It was a menu of sonic dégustation, savouring systems from the luxurious rooms and suites of the Mirage and Venetian in Las Vegas to compile this tasty ‘Best Of’ menu. True, the freakish weather and deep freeze of the United States’ Midwest and Northeast resulted in more than 5000 flight cancellations around CES time, causing some diminished attendance but also therefore quicker and more efficient room-to-room navigation, longer listening sessions and deeper conversations with company reps and designers, at least for those that made it through. As always at such shows, we came across some surprisingly average-sounding rooms, while other exhibitors managed to excel in every way. While this selection here is rudely limited to a difficult-to-determine ‘Top 5’, the Editor has this year at least allowed me the luxury of a list of those who just fell out of the five but nevertheless merit a most honourable mention. at Dortmund, Germany Nov. 2013. Now this was more like it. 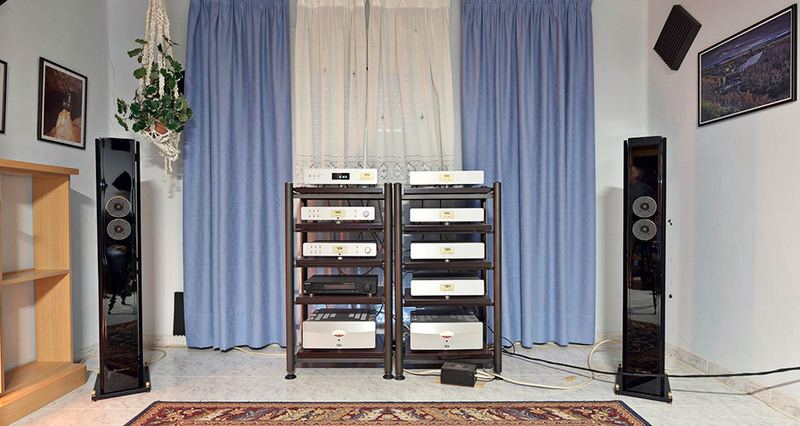 Electrocompaniet CD player and integrated amp feeding Brodmann Festival FS speakers. The rather small speakers were doing a great job filling the room with Saint-Saëns' 'Danse Macabre'. Very even-handed presentation and good bass extension made for a very enjoyable and musical performance. 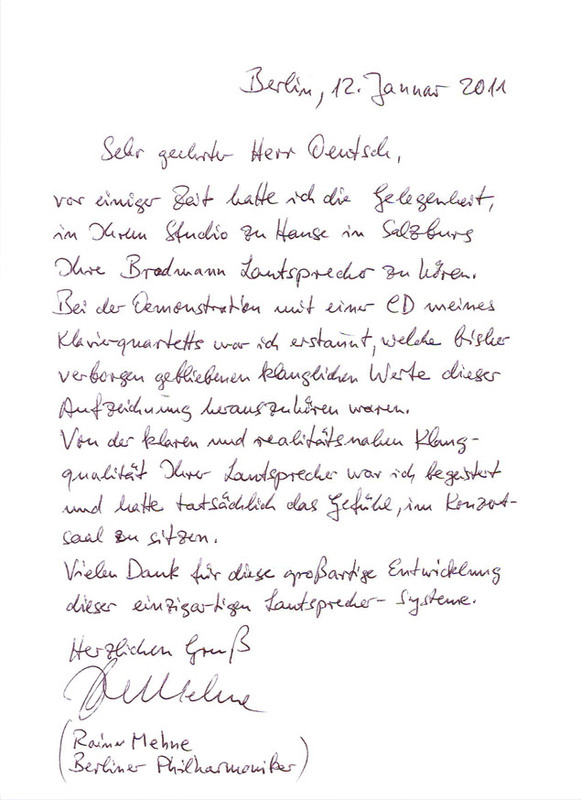 In den vergangenen zwei Jahren entwickelte Hans Deutsch mit Ausnahme der VC 7, die auf einem für Bösendorfer konstruierten Modell basiert, alle bis dato existierenden Brodmann Lautsprecher, die auf der diesjährigen HIGH-END in München erstmalig dem breiten Puplikum präsentiert wurden. 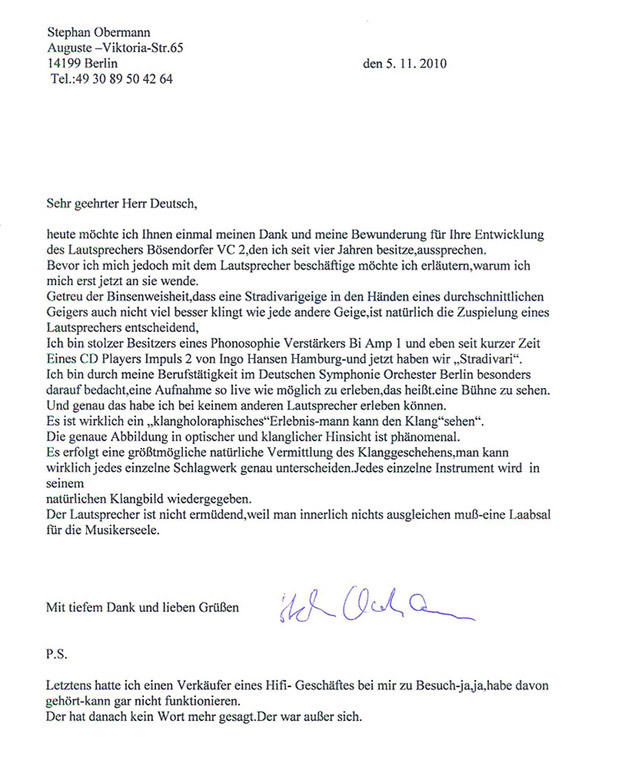 Wegen der vorangegangen Klausur erschien Brodmann dort plötzlich aus dem nichts aufgetaucht und überraschte mit einer vollständigen Produktpalette. Ihre Brodmann Lautsprecher zu hören. Honours in different categories from the biggest fairs worldwide. 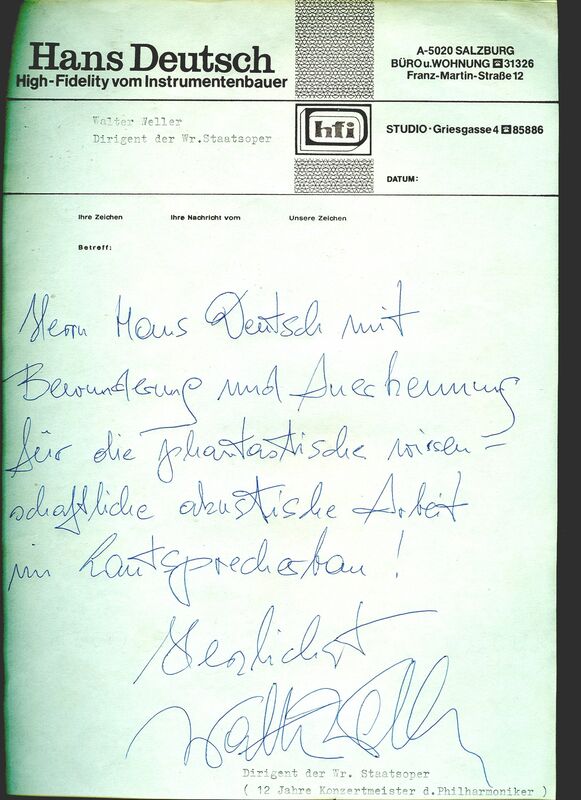 HD loudspeakers were offered only in Germany and Austria from 1973-99. 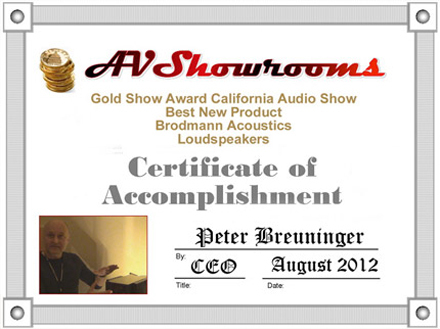 Most of the HD designed loudspeakers were chosen as test-winners against international and national competitors. HD Board bei HiFi Vision (Referenztitel) HD304 bei Stereo, HD308 bei Stereo, HD310 bei HiFi Vision (Lautsprecher des Jahres1986, von den Lesern aus allen, Preisklassen gewählt, obwohl nur DM 1.000,00 per Stk. ), HD311 bei Stereoplay, HD312 bei Stereoplay, HD316 bei Audio, light style 7 Salzburger Nachrichten, M1 bei Audio, M6, Antares bei Stereoplay, M8 + FT M3 bei HiFi Vision (Absoluter Referenztitel), HD DA240 (Mainspeaker der Skyline) bei Stereoplay (Absoluter Referenztitel), HD Skyline Exklusivtest bei HiFi Vision, Aus rund 20 Tests sind in der Folge einige als Beispiele geführt.